The University of Tasmania, with support of its Faculty of Law, the University of Utrecht Ethics Institute, the University of Tasmania's Institute for the Study of Social Change, Asia Institute, Faculty of Medicine, the Antarctic Climate and Ecosystems Cooperative Research Centre (ACE CRC) and the Institute for Marine and Antarctic Science (IMAS). The Conference involved more than 80 speakers who explored ethics, politics, science, economics, law, activism and art, against the background of a concern the prevailing neoliberal model is not able to respond effectively to the challenge of climate change and excludes key considerations such as ethics and justice. This concern has been heightened in the last 18 months by the turn to insular, nationalistic and fragile politics, which has seen the US withdraw from the Paris Agreement and other States turn inwards, with fears they will disengage from global or collective efforts. Speakers looked at ethics, hope and despair, climate justice, intergenerational justice, and how abstract notions of climate justice can be translated into concrete policies, governance structures, and laws. The Conference programme focussed strongly on a systematic analysis of barriers to action on climate change, ranging from structural barriers through to social and human psychology, and the role of the media. A key goal was to look at strategies and possible ways forward, drawing on international, regional and local experience. As well as covering issues of equity and justice in the international climate change regime and current national climate policies, speakers examined emerging issues, such as technological or geoengineering interventions, climate change and human rights, and international and national climate change litigation. Artists, writers, filmmakers, and musicians, activists and academics explored the artistic response to climate change, art as activism, and the connection with nature and place. There were several artist's talks and an evening of Climate Music. The Conference included a commitment to public engagement, with a free Public Talk, Climate Ethics Amidst Climate Injustice, by Professor Steve Vanderheiden on the Thursday evening, and a Community forum led by Margaret Steadman on the Saturday afternoon. The Hobart City Council and the Tasmanian Government were among the sponsors for these events. The Keynote presentations will be available to watch on on our Climate Justice YouTube channel soon, along with interviews and other talks. The full recordings will be available as podcasts in the coming months. 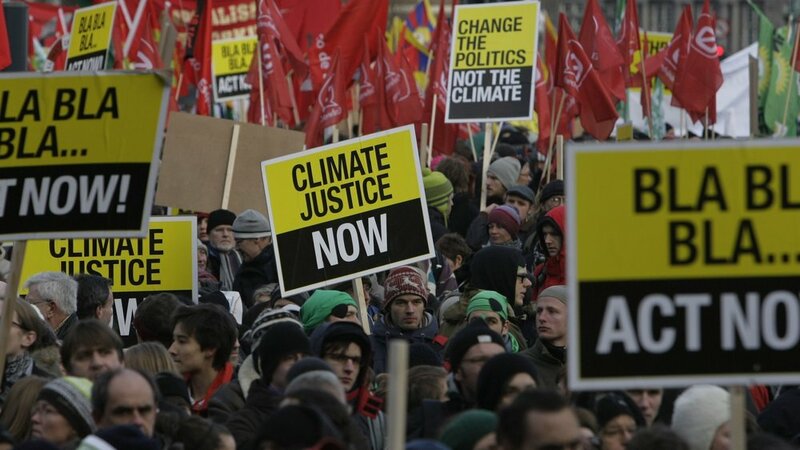 You can read more about climate justice and the Conference in our blog on this website and we will be announcing details of follow up events for 2018. We are pleased to have the endorsement of the Earth System Governance Project as well as the support of local community groups, Climarte, and Lynchpin, the Ocean Project. will examine the meaning of climate justice. will address barriers to implementing climate justice in multiple fields, with a number of case studies. will examine how we should move forward to address these barriers. The Conference is part of a project to raise the profile of issues of ethics and justice in relation to climate change and create a network of thinkers and researchers in the area. A Southern Hemispheric connection with a focus on regional as well as global concerns could have a significant impact on the public policy debate, as well as the profile of these issues. It will be a catalyst for links to a broad range of concerned scientists, philosophers, lawyers, economists and strategists to share information and develop collaborations. Dissemination of ideas and dialogue is a key goal, along with publication of papers online and in journal or book form. Tasmania is the ideal location for this conference, with its long history of conservation expertise and environmentalism, the largest concentration of climate scientists and Antarctic researchers in the Southern Hemisphere, and a particularly vibrant and engaged arts community. In 2016, the first recording of 400ppm at Cape Grim demonstrated the urgency of the climate challenge, but the implications are not understood outside the scientific community. Nearly one third of Tasmania is world heritage area protected under a global convention that explicitly embodies notions of intergenerational justice. Hobart is the perfect city to bring people together to discuss this important subject with its beautiful setting, great venues and food, as well as easy access to national parks, walks, and MONA. The Conference will acknowledge the traditional owners and custodians of the land and the contemporary Tasmanian Aboriginal community. The Conference will follow a sustainable, no or low carbon model, to be reflected in catering, printing and other aspects of Conference Management. Participants flying to Hobart are asked use a reputable carbon offset provider.